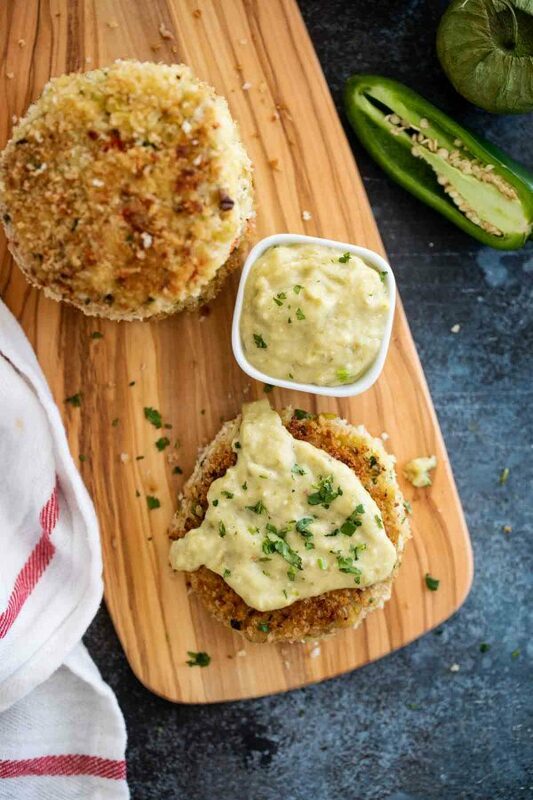 Far from boring, these Green Chile Crab Cakes are filled with chile and crab flavors. 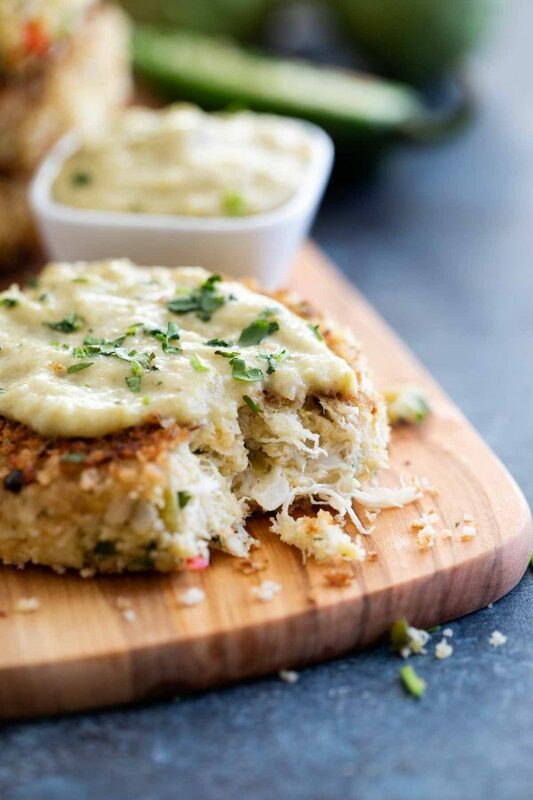 Served with a delicious roasted tomatillo salsa, this New Mexican version of the crab cake will be one you won’t forget! As much as I love occasionally eating out, I really do love a restaurant worthy meal that you can make at home. And these Green Chile Crab Cakes with Tomatillo Salsa are just that! 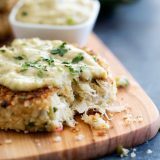 Crab cakes are such a weakness for me, but these Green Chile Crab Cakes are even better than regular crab cakes! 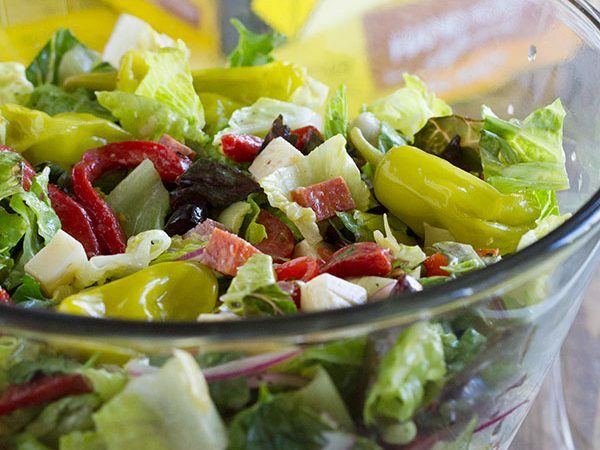 The addition of green chiles and jalapenos just brings these to a new level. Add in that homemade roasted tomatillo salsa and I’m in heaven!! 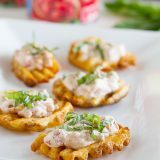 I just use lump crab that I find in a can in the seafood section at my grocery store. Most major grocery stores should carry it. 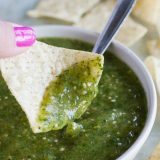 And you may have extra tomatillo salsa left over, but it’s delicious as a dip with tortilla chips, on your eggs, or pretty much anywhere you’d use salsa! 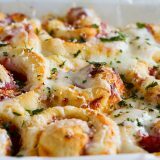 It’s easy to make a restaurant worthy meal at home!! Start by making the tomatillo salsa. You’ll need to remove the papery skins from the tomatillos, then rinse them as they will have a sticky substance on the skin. Cut the tomatillos in half. Then cut your onion into chunks and peel your garlic. Place the tomatillos, onions and garlic on a baking sheet, drizzle with olive oil and season with salt. Roast until browned, about 20 minutes. Remove from the oven and let the veggies cool before transferring to a food processor. Refrigerate the salsa until needed. To make the crab cakes, cook some onion, bell pepper, garlic, green chiles, and jalapeno in some butter over medium heat. I only add 1/2 a jalapeno, but if you really like some heat, you can add in the whole jalapeno. Cook until they are softened, then transfer to a bowl to cool slightly. In a bowl, combine the crab meat, some panko breadcrumbs, mayonnaise, eggs, cilantro, lime juice, salt and pepper. Add in the cooled vegetables, then gently combine and form the mixture into 8 patties. Place the rest of the panko breadcrumbs in a shallow bowl and dredge the crab cakes in the breadcrumbs. Melt some butter with some olive oil in your skillet and cook the crab cakes until they are golden and crispy and perfect. Serve the crab cakes with the tomatillo salsa! Can You Make Crab Cakes Ahead of Time? In this recipe, you can definitely make the tomatillo salsa ahead of time. I like to store it in a jar in the refrigerator. It can even be made 2-3 days ahead of time. If you want to make the crab cakes ahead of time, I would suggest making them until they are patties, but before they are coated in the panko breadcrumbs. The panko may become soggy or gummy if the crab cakes are made too far in advance. Just make the patties, then place the on a baking sheet. Cover and refrigerate until ready to make the crab cakes. I would suggest letting them sit out for 10-15 minutes when you are ready to make and serve them. Then coat them in the panko crust and pan fry according to the recipe. You’ll need a large skillet to cook the vegetables as well as the crab cakes. To make the salsa, you’ll need either a blender or a food processor. Remove the husks from the tomatillos, rinse and cut in half. Cut the onion into chunks. Place the tomatillos, onion, and garlic on a baking sheet. Drizzle the olive oil over and stir to coat. Season with the salt. Roast the vegetables until they are brown around the edges, about 20 minutes. Place the vegetables in a food processor and process until pureed. Taste and season with more salt if desired. Transfer to a glass jar or container and refrigerate until cold. 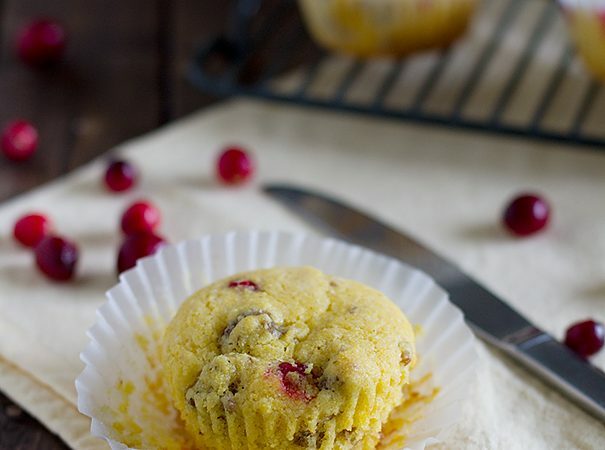 Melt 2 tablespoons fo the butter in a large skillet set over medium-high heat. When hot, add the onion, bell pepper, garlic, green chiles and jalapeño. Sauté for 5 minutes. Transfer the mixture to a bowl and wipe the skillet clean with a paper towel. 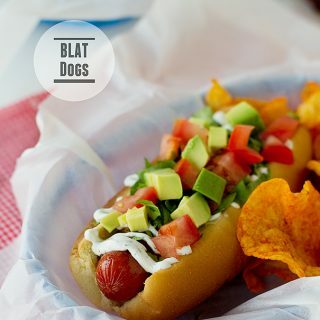 In a large bowl, combine the crab meat, 1 cup of the Panko, the mayonnaise, eggs, cilantro, lime juice, salt and pepper. Add the cooled vegetables. Gently combine, then form into 8 3-inch patties. Pour the remaining 1 1/4 cups of Panko breadcrumbs into a shallow bowl. Working with one patty at a time, coat the patties in the breadcrumbs. Melt the remaining 2 tablespoons of butter and the 2 tablespoons of olive oil in the skillet over medium heat. Add the crab cakes and cook until golden brown and crispy on both sides. Serve immediately with the tomatillo salsa. Ooooh! Yum!! 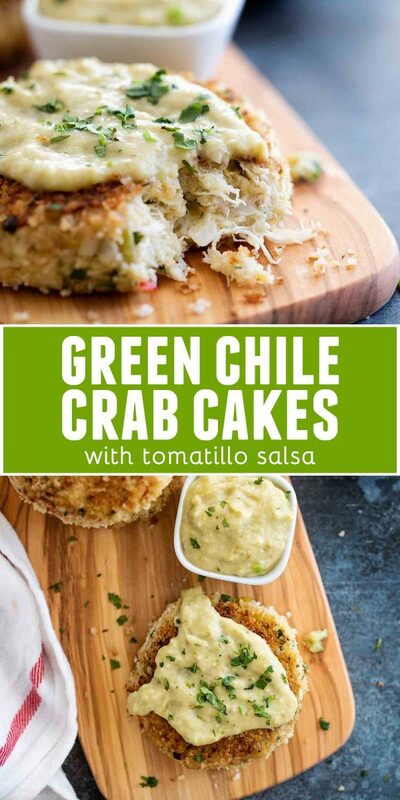 My in-laws were here recently, and my MIL had her fill of crab cakes… ever since, I’ve been thinking about them… We love tomatillos, so this looks like a perfect choice!! Okay, you have to start a girls group for entertaining! I’ve been in a girls dinner club for years and love it. I think the husbands even get a little jealous! Well, I’m excited to see what recipes you do this month! I am so glad that you get the BC parties! I have made so many recipes from that book, and they are all winners! 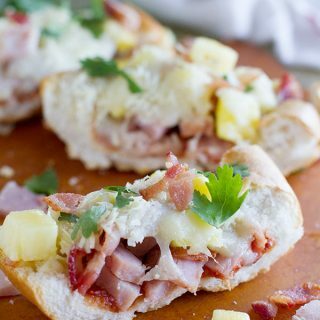 Can’t wait to see which recipes you are making for May! Fun, I can’t wait to see the goods from this book, I have yet to purchase it as well. Count me in for the girls group! That is so funny about your husband and what you thought life would be like. We were definately raised from the same book because that describes what I hoped for exactly too. My husband doesn’t mind getting together with people though, but he is always too focused on all of his “hobbies” (skydiving, BASE jumping, etc – seriously). All three books sound awesome! 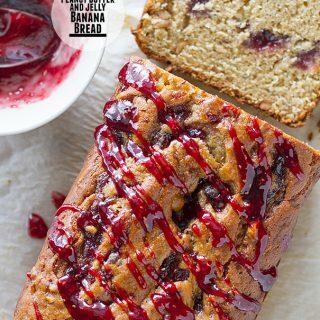 Can’t wait to see some of the recipes from your new book! 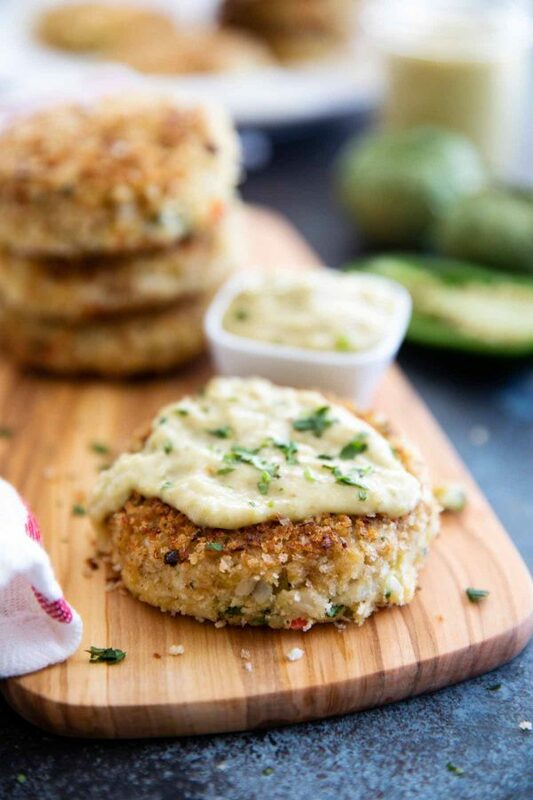 These crab cakes sound really good! The salsa verde would be perfect with them. Craigs List for books? Have to check that out. Great finale with the crab cakes! I have all of Ina’s books and I love each of them. Her recipes are straightforward and unfussy. Plus, they always turn out. I’m looking forward to see what you come up with this month. Hmm, I’ll be interested in seeing what you whip up. I like Ina. I’m like your husband; very anti-social. ina has some rather strange friends and habits, but darn it if the woman doesn’t crank out some great dishes for entertaining. i’ll be looking forward to seeing what you make! Hi Deborah, All ur recipes are great. Please can u check my blog,I have something special and surprise for u !!!!!!!! The Pastry Queen is my favorite cookbook of all time. I recently went to the Rather Sweet Bakery and it was phenomenal. I ate there twice while vacationing! I highly recommend the Pastry Queen Christmas, you won’t be disappointed. Have fun with Barefoot Contessa Parties, thats my other favorite! 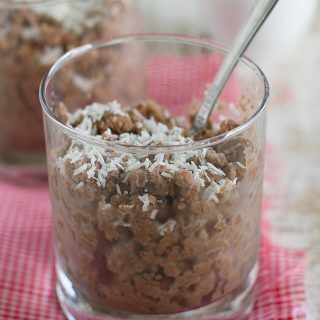 I think you saw that I featured a bunch of Ina recipes recently. Most of them were from Barefoot Contessa Parties! I loved all of them. It’s a great cookbook. I’m excited to see what you’ll be trying! I love Ina’s recipes. That is one book of hers that I don’t have, but I’m rethinking it now. And crab cakes are one of my favorites! I cannot wait to try these! We grow, roast and hand peel green chile! Yummy! We actually ship this to restuarants.